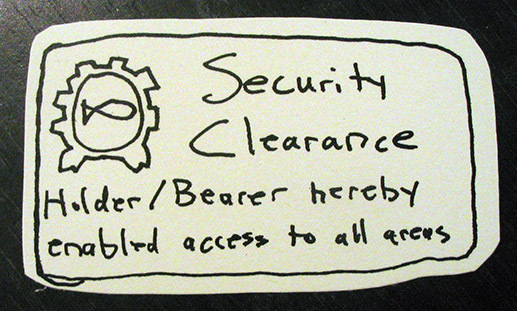 "This card entitles you to the utmost security clearance!" As you read Force Lore, you’re going to come across some terms and abbreviations that I use frequently. If you are not familiar with content from other Star Wars sources, other than the movies and Star Wars: The Old Republic, these may be strange and confusing to you. Hopefully, I can clear up any questions that may arise from this crazy lingo. 1. BBY – This stands for Before the Battle of Yavin. All the fans of the original trilogy will remember the fateful moments of the Rebel Alliance attacking the Death Star in a valiant attempt to destroy the space station and save the Rebel Alliance from annihilation. This is known as the Battle of Yavin. The Star Wars galaxy uses this event as the epoch of the current Universe’s timeline, viewed from the movie era, to dates both before and after events that occurred in the first movie. I’ll be using this almost exclusively over any other methods of date reference. 2. ABY – This stands for After the Battle of Yavin. This doesn’t apply to the events occurring in Star Wars: The Old Republic, but I will be making reference to events that apply to the stories that keep going after SWTOR. Outside of The Empire Strikes Back and Return of the Jedi, this date applies heavily to New Republic, New Jedi Order, and Legacy eras. Most of the stories are covered in the novels, video games, RPG supplements, and comics that focus on Star Wars events that occurred after all the movies. 3. SWTOR/TOR – This is a simple acronym for Star Wars: The Old Republic. Sometimes it’s shortened to The Old Republic. Pre-Republic – This consists of events occurring before the formation of the Galactic Republic. Old Republic – This stretches from about 25,000 BBY up to 1,000 BBY. This is also the era the SWTOR takes place. Rise of the Empire – From 999 BBY to 19 BBY. This is when the Sith “Rule of Two” is in effect and the Sith are secretly and patiently working to take the Galactic Republic down. This covers events that occur in Star Wars Episodes I, II, and III. Rebellion – This era marks the birth of the Skywalker twins, the lead-up to Star Wars Episode IV: A New Hope, and the movies that followed. Taking place from 19 BBY to 4 ABY, ending with the Galactic Empire’s defeat at Endor and the start of the New Republic. New Republic – This era marks the rise of the New Republic as the new galactic government and the decline of the Galactic Empire. This runs from 5 ABY to 25 ABY. The New Jedi Order – Starting with the Yuuzhan Vong War in 25 ABY and running through 40 ABY. Legacy – This new era is still largely in development in novels, comics, and other media. This runs from 40 ABY through approximately 140 ABY. If you come across anything that you have a question about, please ask in the Comments section. I’ll be more than happy to answer the best that I can. If you want to read more on any topics that I address, check out Wookieepedia, the largest searchable Star Wars database/wiki there is. There are also a number of truly great novels out for almost every era of the Star Wars Universe. They’re a great read, even when they don’t involve the main characters from the movies. I hope this helps. Look for a regular installment of FORCE LORE very soon! Until next time, spacers! May the Force be with you, always. I appreciate the compliment, Matt. If you have any ideas for submissions or contributions, we’d love to hear them. Please send an e-mail to corellianrun@gmail.com with your ideas. Thanks for following us and may the Force be with you!